MONTREAL -- An elusive Tunisian billionaire who disappeared from Canada as he was set to be deported to his homeland in 2016 resurfaced last week and is under arrest in France. Belhassen Trabelsi fell off the radar of Canadian authorities three years ago just as he was to be returned to Tunisia to face justice. Tunisian authorities say that after learning of Trabelsi's arrest last week, they informed France - as they had previously told Canada - they want Trabelsi returned home. 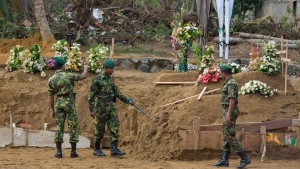 The statement noted a bilateral agreement between the two countries signed in 1972 on judicial co-operation in criminal matters and extradition. Trabelsi arrived in Canada with his wife and children in 2011 as his brother-in-law, Zine El Abidine Ben Ali, was being deposed as president by the Tunisian people during a revolution. The billionaire businessman who dabbled in everything from cement production to television studios was a prominent figure during the 23-year rule of the once-dominant Ben Ali clan. Trabelsi's sister Leila is married to Ben Ali, and the tycoon's arrival in Montreal sparked protests from the local Tunisian community. Trabelsi previously enjoyed permanent resident status in Canada, but that was stripped upon his arrival as he had failed to respect the necessary requirements. His request for refugee status was rejected in 2015, and after exhausting all avenues, Trabelsi vanished mysteriously, even while mounting a last-ditch challenge to an order to remove him from Canada in May 2016. An affidavit with the Federal Court at the time noted that Trabelsi's lawyer said he was “no longer reachable,” and a ruling rejecting the stay request noted he didn't show up to a meeting with the Canada Border Services Agency. Trabelsi's wife and their four children were granted asylum in Canada not long after Trabelsi's disappearance, according to immigration lawyer Jean-Francois Bertrand, who has represented them previously. The Canadian Press wasn't able to reach her Tuesday. 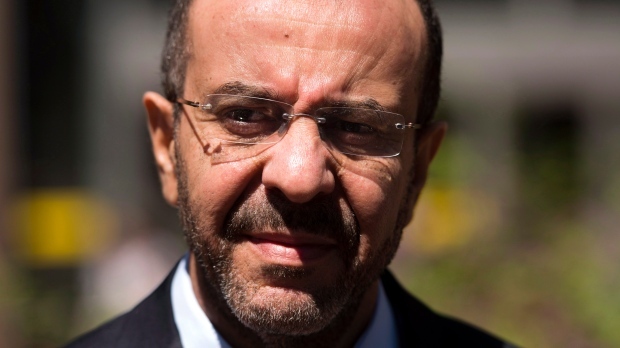 Trabelsi, whose holdings included an airline, hotels, media companies and banks, maintained during immigration hearings in Canada that his wealth was self-made. He said he was concerned for his health and safety if he were returned home. In a 2008 diplomatic cable revealed by WikiLeaks in 2011, the U.S. embassy in Tunis called Mr. Ben Ali's extended family a “quasi-Mafia” and singled out the “strong-arm tactics and flagrant abuse of the system” of the Trabelsi clan. “Belhassen Trabelsi is the most notorious family member and is rumoured to have been involved in a wide range of corruption schemes,” the cable said. He stands accused of numerous financial crimes in his native Tunisia. Reports from France say Trabelsi, 56, is currently in a jail in Marseille facing unspecified charges.